We offer private, reserved non-stop transportation 24/7. 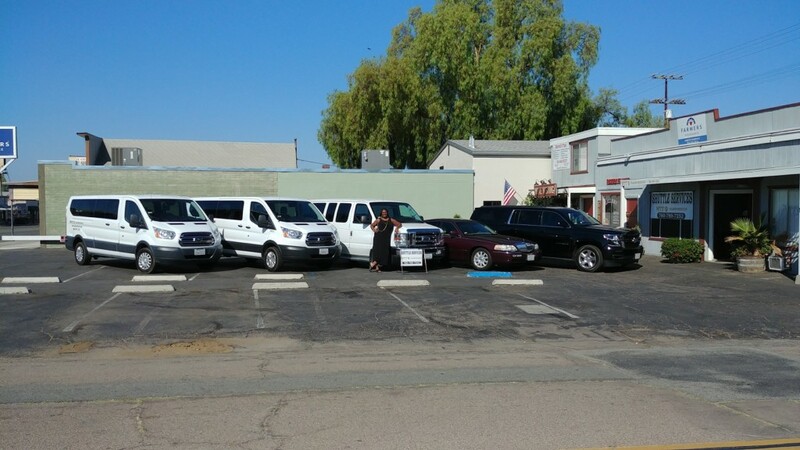 WTT is a full-service transportation company located on Main Street in Ramona, California. We have been in business since 2010. We are a shuttle service that is very different from cab companies or UBER and LYFT. Our fleet consists of several multiple passenger vans, a luxurious 2017 Suburban, and a Signature Series Town Car. Our company is permitted by the State of California to do round trip sightseeing tours. We offer transportation to/from all major Southern California airports. WTT provides personalized/customized winery tours as well as specializing in wedding transportation. Please consider hiring WTT for corporate accounts, executive services, and any/all business events. Contact us at (760)789-7252, email us at shuttlesandiego@gmail.com, and check out our website at shuttlesd.com. We look forward to doing business with you in the near future! Many thanks from your WTT staff.